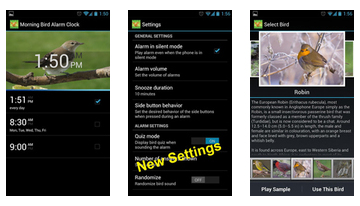 The program Morning Bird Alarm Clock is another kind of alarm clock for your android. At this time the development is based on the theory that the best thing awakening - natural, but timely, as they managed to combine - read on. 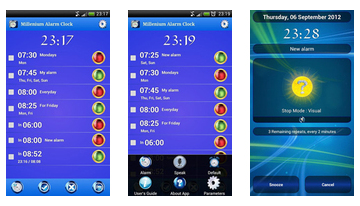 The program Alarm Clock Millenium is a new technology to guard your sleep, or rather the contrary ... they will deal with your sleep =) Morning - the most horrible time of the day for those who are hard to wake up, sometimes without tricks and gimmicks is not enough, then come to the aid and similar programs. 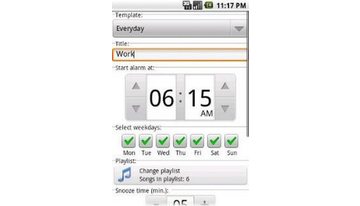 Appendix Puzzle Alarm Clock PRO is designed specifically for those who are hard to wake up in the morning and wake up, make sure you need it! 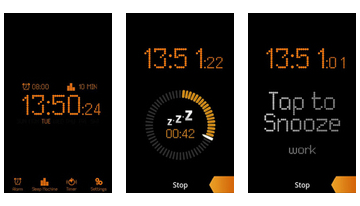 This alarm clock will not let you do as usual - to switch off and go to sleep, it will not turn off until you actually wake up. 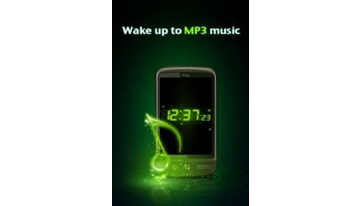 The program Bedside Alarm Clock will help you efficiently, clearly and in a good mood to wake up every morning without pads and other unnecessary problems. Very stylish design, lots of colors and features, and that's not all! After the last update the app does not work on Android devices below Froyo. Restart the application after installation. 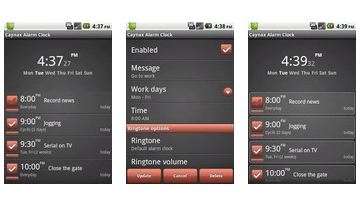 Alarm Clock - This alarm clock turns your Android into beautiful digital clock with gorgeous themes and an alarm clock that is able to play your favorite tunes. There is even a built-in flashlight to light up the darkness! 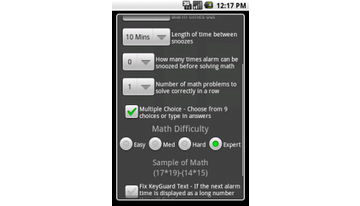 Math Alarm Clock - To switch off the alarm clock does not need to solve a very complex example. 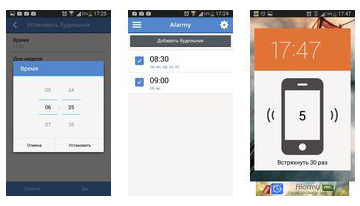 Here and manifest all of your knowledge of the school curriculum, slide the work a little bit, but with the alarm clock will be very difficult to sleep through anything.